How often do the public switch-off from politicians who they see as all the same. It is a criticism frequently heard when out campaigning, when the mainstream parties are perceived as offering pale imitations of each other. The public have voted with their feet, political party membership has plummeted and election turnouts have steadily declined. This Labour Leadership Election has offered something different. The new politics proposed by Jeremy Corbyn and Tom Watson has re-energised and galvanised the Labour Party attracting over 400,000 new members and supporters. The democratic surge in the Labour Party should be embraced in what will be our first individual member-led election. Tom Watson is a proven campaigner and is the only candidate for Deputy Leader who will continue the process of engaging and rebuilding grassroots politics within the Labour Party. We face a difficult challenge. Tom recognises that any new leader will have to take us out of our comfort zone and broaden our appeal to win back key seats, as well as those we lost in the Midlands and Scotland at the last election. Our Labour Party Members and supporters have a common belief in our shared values of social justice, fairness and equality are our greatest asset. We have a rare opportunity to radically change our politics offering a new agenda of hope to those who have become disillusioned. 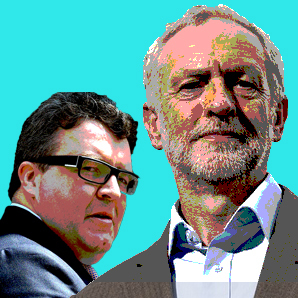 I believe the balanced ticket of Jeremy Corbyn and Tom Watson for Leader and Deputy Leader provides the best opportunity for an open democratic Labour Party that empowers party members and delivers the practical policies that will make a real difference to people’s everyday lives. That is why I have set out my stall and am voting for Jeremy Corbyn for Leader and Tom Watson for Deputy Leader of the Labour Party. JC might but I doubt if Watson could summon the energy to get out of bed in the mornings, Reminds me a bit of Reggie Maudling back in the days of Poulson, and Dan Smith of Old Newcastle Rotten Borough. A safer bet is Caroline Flint, who I’ve voted for. I completely agree with you but it’s a clever if shallow piece of political slight of hand to present it as, “Jeremy Corbyn and Tom Watson,” when in fact their’s only JC; Watson’s career such as it was, is, he was involved in the NUS, then did a couple of years in advertising and then became another full time political parasite after the pattern of so many others exactly like him, (up to and including Blair,) without scruple, principle or even the basic competences that can only be gained from actually having had to do a days work in the real world at some point in your career. Watson is pretty much a single fractal of everything that’s gone wrong with British politics at the start of the 21st century. I’m not arguing that it should be a perquisite of holding public office that someone needs to be a horny handed son toil, but even so Watson’s credentials are vague and profoundly unconvincing and at heart he comes across to me as being simply yet another Blair type chancer, chancing his arm. Agreed, Grahame. I too opted for Tom & Jerry. My hope is that Tom will provide the ballast Corbyn needs. I may be wrong in that assessment; I guess we’ll see. IF Corbyn wins then this is a key position that can be used to either undermine or support him, to either block or work for the rebuilding of internal Party democracy that was stolen by Blair and Brown. Flint is an awful right-wing Blairite who if elected would likely undermine Corbyn and work with potential coup plotters. Bradshaw is an awful Blairite neo-con and anyone on the board of the Henry Jackson Society is clearly not suitable, but he looks likely to finish last anyway. Creasy has traded on being ‘nice’, a woman and a coop member. All very good, but she is also on the right politically and lacks experience. That leaves Watson and Eagle. Personally I place both politically as very much centre old Labour and not on the left, but I think both would be loyal to JC if he wins and would work to hold things together, so Unite were right pragmatically to recommend that as well as voting Corbyn members should support Eagle and Watson for deputy as first and second preference in any order, although if you are concerned with gender balance clearly Eagle edges it. Both Watson and Eagle are likely to turn people off; its just something about them. Flint would be best, assertive as well as providing the balance and experience needed. I think Flint is the Kendall of labour way to close to Blair..